join. We shall discuss these forms of join in this section. Summer 2010. 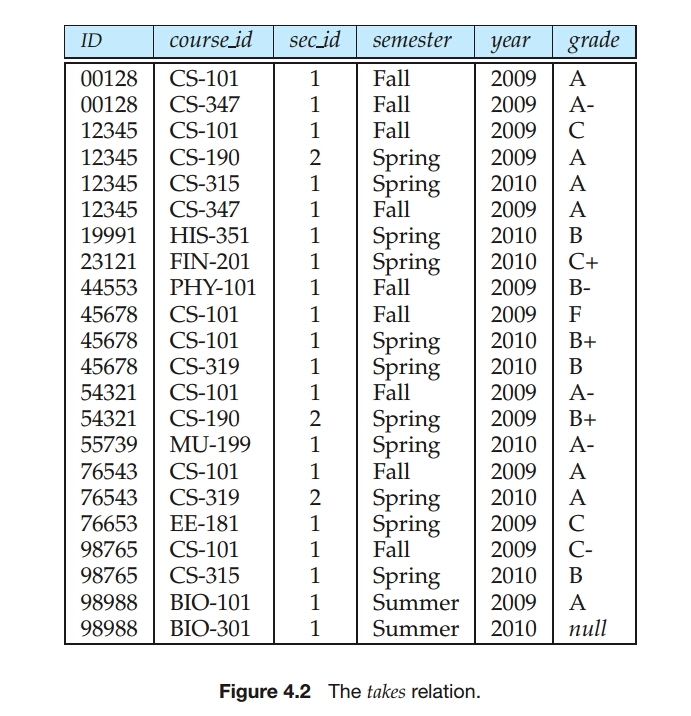 The null value indicates that the grade has not been awarded yet. join condition can be specified. The on condition allows a general predicate over the relations being joined. at the end of the join expression. as the join expression student natural join takes, since the natural join operation also requires that for a student tuple and a takes tuple to match. 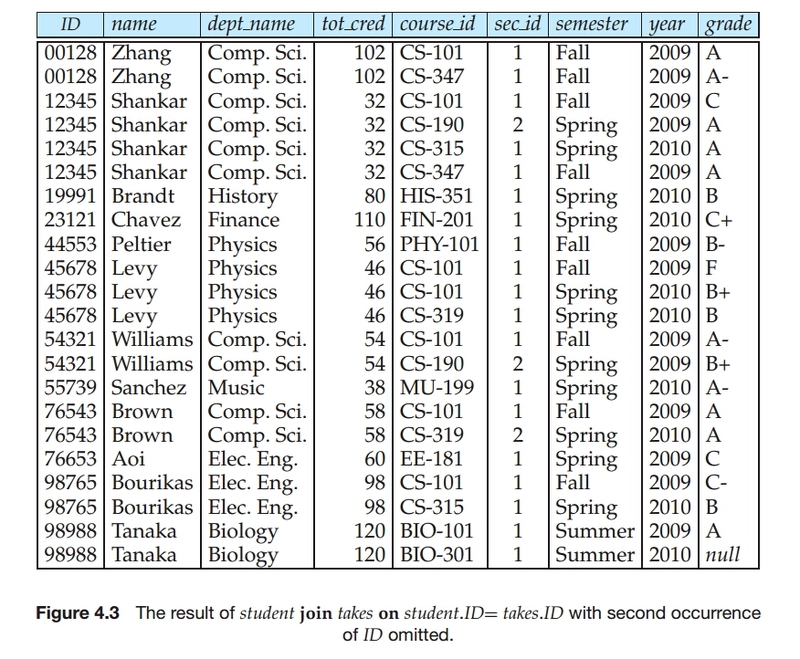 The one difference is that the result has the ID attribute listed twice, in the join result, once for student and once for takes, even though their ID values must be the same. 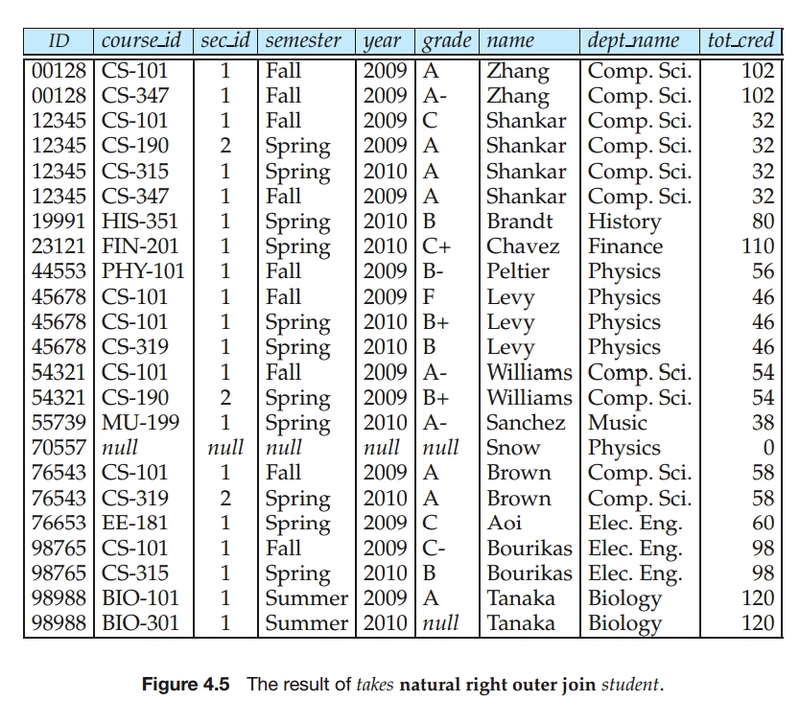 The result of the above query is shown in Figure 4.3.
clause. Thus, it may appear that the on condition is a redundant feature of SQL. and the rest of the conditions appear in the where clause. Snow does not appear in the result of the natural join. lost in a join, by creating tuples in the result containing null values. preserved in the result of the outer join. left of) the left outer join operation. right of) the right outer join operation. • The full outer join preserves tuples in both relations. filled in with the values from tuple t.
• The remaining attributes of r are filled with null values. schema of the takes relation. The full outer join is a combination of the left and right outer-join types. tuples from the left-hand-side relation and adds them to the result. the attribute ID appears twice in the result. 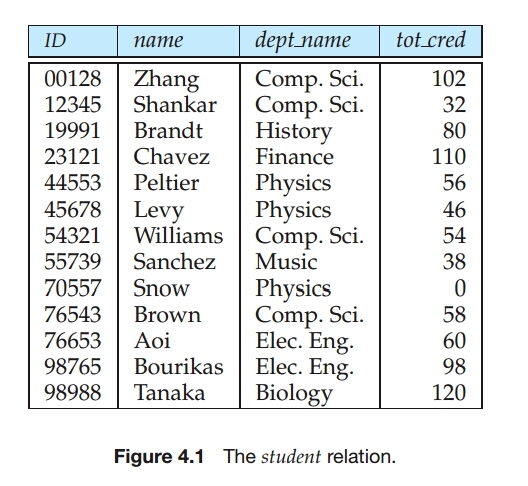 of the student tuple for student “Snow” with ID 70557, illustrates this distinction. the where clause, and instead using an on condition of true. never appears in the result of the latter query. join type, when the join clause is used without the outer prefix is the inner join. Similarly, natural join is equivalent to natural inner join. 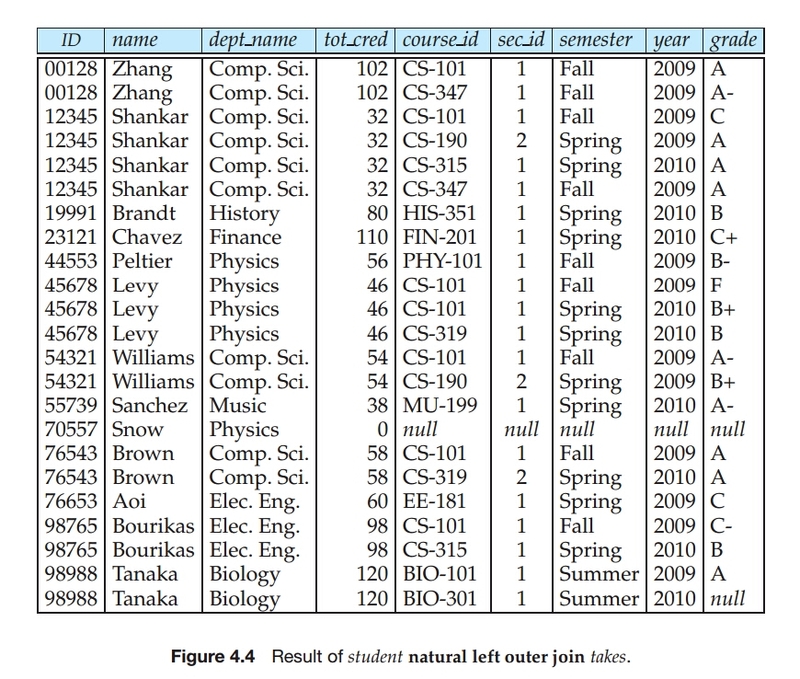 Figure 4.6 shows a full list of the various types of join that we have discussed. full outer) can be combined with any join condition (natural, using, or on).